Photosynthesis is a biological reaction that utilizes energy of the sunlight and converts it into high energy electrons. These electrons are consumed in the two reaction phases that finally generate sugar (chemical energy) with the help of chlorophyll (a green pigment) present in leaves. This process occurs only in plants, blue-green algae and certain bacteria. 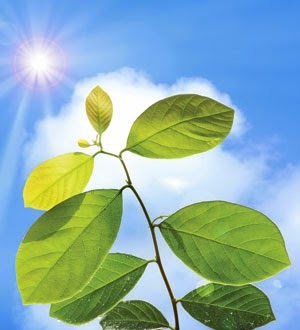 According to the geological history, photosynthesis is thought have occurred roughly 3.5 billion years ago. The overall formula of the process involves conversion of six molecules of carbon dioxide and six molecules of water to produce one molecule of glucose and six molecules of oxygen. As a result, all the oxygen present in the earth’s atmosphere as well as seas is because of photosynthesis. In plants and photosynthetic protozoans, chloroplasts are vital to the biological machinery that regulates photosynthesis. 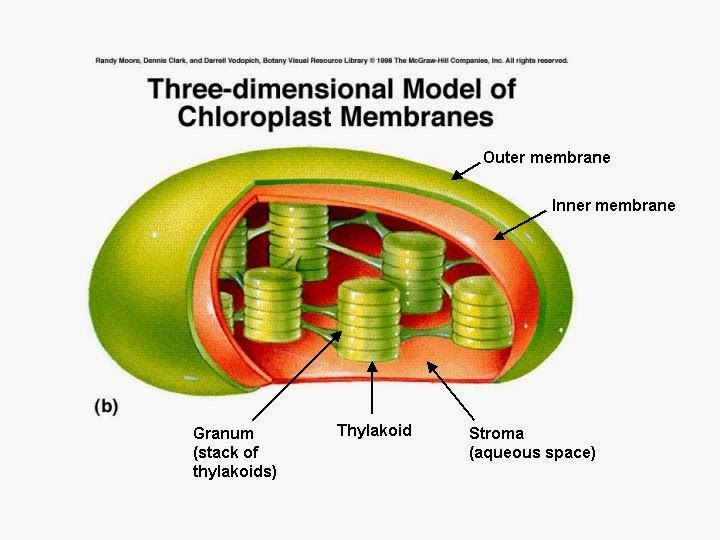 Chloroplasts are membrane bound organelles that act as the reaction sites and have there own genes and DNA. It is believed that chloroplasts evolved from photosynthetic organisms that were related to modern-age cynobacteria. According to the theory of endosymbiosis, chloroplasts are considered as a result of a symbiotic relationship between early microbes similar to ancestors of mitochondria. 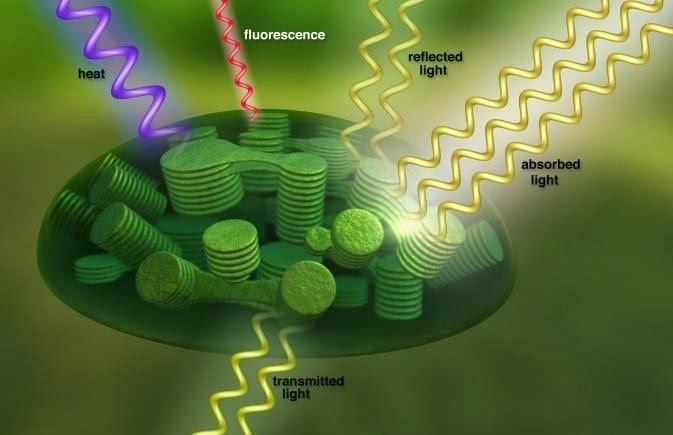 Plants contain chlorophyll inside their leaves that captures energy for photosynthesis. The captured energy is utilized to build complex carbohydrates from simple raw materials (that is, carbon dioxide, water and minerals). These carbohydrates (or sugars) are consumed by plants to derive energy. Some part of this complex sugar is stored for performing other vital functions. The process involves various steps that fall under two phases: the dark phase and the light phase. One of the key immediate end products of photosynthesis is oxygen. Oxygen is important for life on earth. According to the geological records, oxygen did not support life around two billion years ago. The earth’s atmosphere was free from oxygen until oxygen producing photosynthetic cynobacteria (also known as photo-bacteria) appeared on the earth surface a few tens of millions of years ago. They produced enormous amounts of oxygen, leading to the extinction of intermediary evolutionary lineages that could not bear such high levels of oxygen concentration (oxygen catastrophe). The atmosphere, today, contains around 23% oxygen. This indicates the need of more plants that can utilize carbon dioxide and liberate oxygen for breathing. Destruction of forests and natural reserves should be discouraged for a safe and healthy future of living beings on earth.